Avid’s Pro Tools Is The Industry Standard In The Professional Recording, Music And Post Production Industries. Designed and built from the ground up for Pro Tools. Drawing from over 30 years of industry experience. 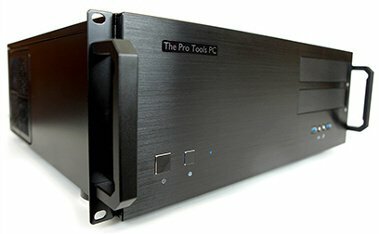 The Pro Tools PC combines the talents of the world’s best Audio Computer manufacturing and Pro Tools support specialists on the Windows Operating system environment. There has never been a machine so focused on providing the perfect Pro Tools experience. 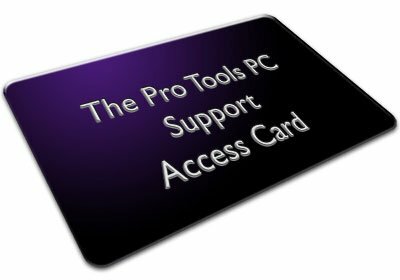 Why Does Pro Tools Need A Dedicated PC? 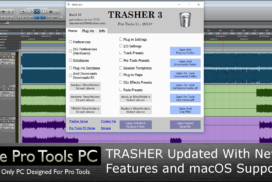 Pro Tools as a piece of software should be able to run on any compatible computer – and it can. However your Pro Tools experience relies on the computer being able to handle very complex and resource heavy functions, that are far beyond what it has to accomplish when running Word or surfing the Internet. Recording, mixing and processing multiple tracks of high definition audio, while generating sounds in response to virtual instruments is no easy task and draws on all elements of a computer system, not only this but Pro Tools has traditionally been extra picky about the specific system design setup and integration that even a system that works fine for some other DAW's still wont cut the grade for a Pro Tools rig. You probably already know this, which is why you’re here. Audio PC manufacturers exist because people have trouble running audio software on regular computers. User groups and forums exists because people have trouble running Pro Tools on regular computers. 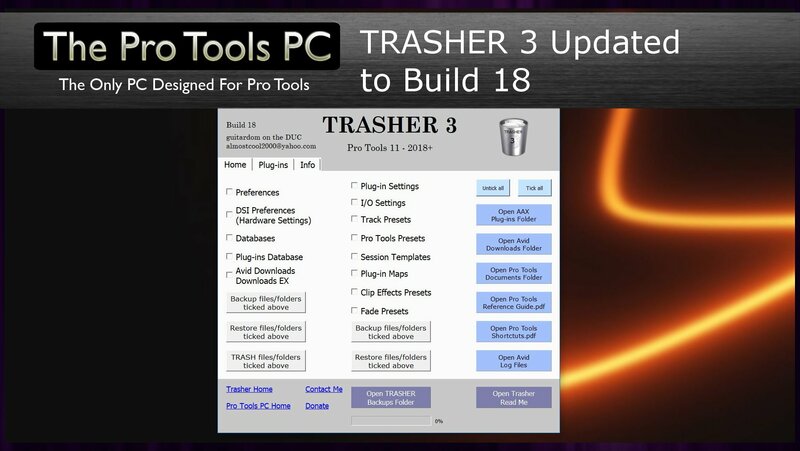 The Pro Tools PC settles the issue once and for all. Nobody can promise complete perfection – these are computers after all – but we can provide a system that’s been designed, built and tested at every stage with Pro Tools in mind supported by professional people who use and support these systems and software every day. Whether you are just setting out in your first Pro Tools journey or a seasoned veteran in a large multi-workstation facility we can help you, you might know exactly what you want or have no idea at all and need some consultancy help to narrow down your options we are here to help, Contact Us Now. As technology changes and improves The Pro Tools PC is able to take advantage of the amazing power within Intel’s increasing number of processor cores. 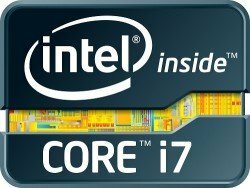 Our standard 4-Core Hyperthreaded i7 system (4 cores / 8 threads) has been our benchmark and the system by which all others are measured, but now we can also offer a super efficient cooler and quiet entry level i5 system at a killer price dont be fooled by the i5 name this system is no slouch and will provide plenty of power on tap for songwriter and project studio rigs. 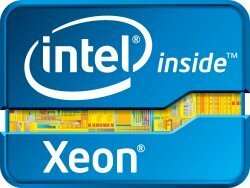 Above those models we can offer even more processing power in our 6-Core (12 threads) , 8-Core (16 threads) and 10-Core (20 threads) systems for increased Plug-in and Virtual Instrument counts the power of these machines is phenomenal , the 6 core machine particularly hits a sweet spot of performance vs price. And for total unadulterated brute power we now have multi-processor systems that allow for 12, 16, 20 and 24 physical cores for dealing with the most intense sessions and elaborate compositions without compromise. In every Pro Tools PC the low latency performance, reliability and stability is engineered to the same high standards, it’s purely the ceiling that is raised. 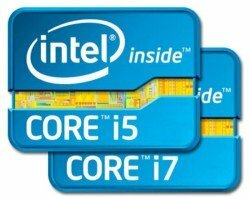 To access more cores we have integrated new motherboards and so each system varies in the exact features they carry. Here’s a quick comparison of the different systems spec's. Water Cooling For Temperature & Noise Control. Super Fast SSD System Drive. High-Performance SATA III / SSD Audio & Media Drives. High Resolution Graphics To Offer Multiple Monitors At High Pixel Counts. 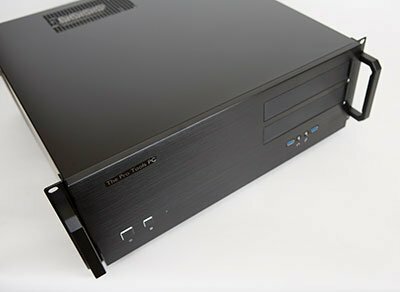 Room For HD Native, HDX Cards Or Many Other PCIe Card Variations. Microsoft Windows 10 Operating System Tweaked For Total Compatibility And Performance (Windows 7 also available). (Exact specifications are subject to technological changes, please confirm any specific requirements when placing your order). You have to love that rack mount chassis. Perfect for a studio rack. It’s not too deep like most server style cases, only about 17″ (42.5cm) from front to back. However, it should be noted that The Pro Tools PC actually needs 5U of space in a rack as the chassis is designed to fit with a half U space at the top and bottom. Although the front panel is 4U there are intake fans on the bottom of the chassis and vents in the top that must not be covered for correct cooling performance, and so it’s essential that you leave space to ensure good airflow. You can pick up a pair of half U blank panels from our store to finish off the look of a made to measure system. 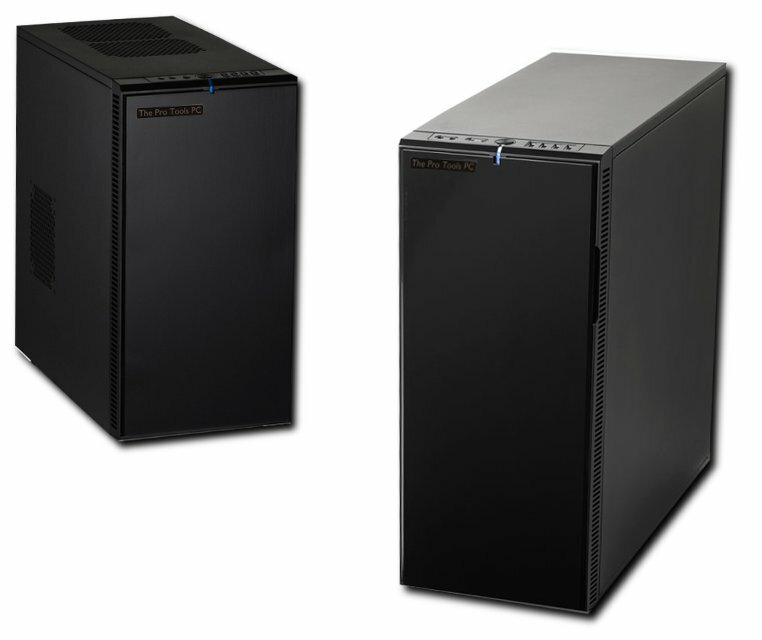 For those who prefer a more traditional vertical tower case we have one of the slickest looking, quietest and most spacious model on the market. 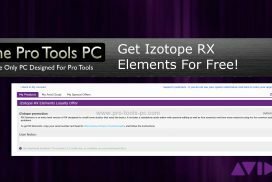 Every Pro Tools PC Comes With An Unprecedented Support Package - Totally Free ! First you get world class hardware technical support from some of the best computer audio tech’s on the planet, Each system is armed with a custom build of TeamViewer, a remote control support solution that allows us (with your permission) to take control of your computer and resolve any issues you may come up against if necessary. We have the knowledge and experience to guide you through those first steps and beyond. And finally in the unlikely event that something goes horribly wrong then your system backup will get you up and running again in a matter of minutes. We are also long-time Pro Tools users ourselves, verging on veteran fanatics. 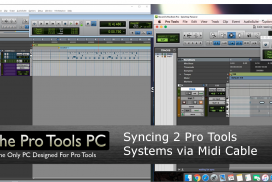 As Windows-based Pro Tools specialists are few and far between, we think we are among the best and most experienced in the world. From our earliest beginnings, building Digidesign Mix TDM test systems on Windows NT4, to being key team members of the first independent PC builders to design and assemble a workstation officially qualified by Digidesign for Pro Tools HD TDM 6 and 7, we can assure you that we have the experience, knowledge and skills to produce the ultimate Pro Tools PC. We offer up our knowledge, so you can avoid the headaches. This is not simply a box of economy parts put together on a tight budget, this is a dedicated, designed for purpose, tested and supported system of the highest quality. 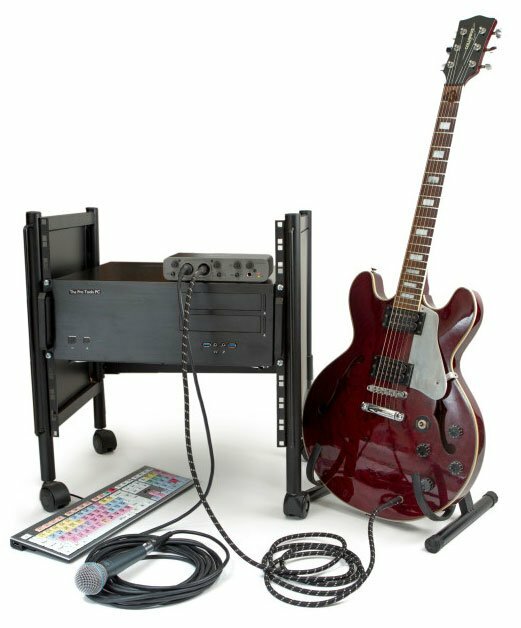 The whole concept is totally specific with Pro Tools hardware and software as its primary focus. Add to this Our extensive knowledge of Computer hardware design and configuration which means we know what does and doesn't work for a Pro Tools specific system and exactly how it should be setup. With over 25 years combined building and operational experience dedicated to Pro Tools, We are able to provide the best support anywhere to keep you on track and getting your job done. We're Not Only The Pro Tools PC Builders We're Bloggers Too !